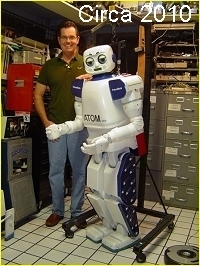 FutureBots your place for the future of humanoid robotic systems, Home of the ATOM 1.0 and ATOM 2.0 humanoid robot.. 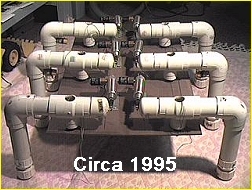 Celebrating 34 years in business in 2019. Linear IC Devices, Gear Motors, Stepper Motors, Motor driver IC's, CCD's and Mil Spec IC's. I ONLY SHIP TO THE USA, NO International Shipping, NO Exceptions !. 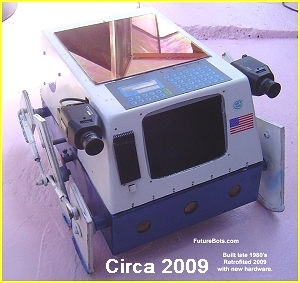 FutureBots Humanoid Lab - F.B.H.L. 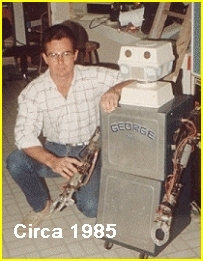 is advancing robotics to support the needs of mankind in Space exploration, Healthcare, Commercial and Industrial Manufacturing, Hazardous rescue activities and Chemical and Biological disposal applications with the introduction of the ATOM 1.0 and the now being built ATOM 2.0 humanoid robot and with this new technology we can create Hi-Tech jobs for the USA that can't be exported. The ATOM 1.0 and 2.0 is now the only humanoids being manufactured in the USA by a USA owned company. America hasn't seen a program since the 1960's Apollo Space program that could generate the same kind of interest and motivation to drive an entire new generation of engineers towards a scientific goal, as they have in Asia with humanoid systems. 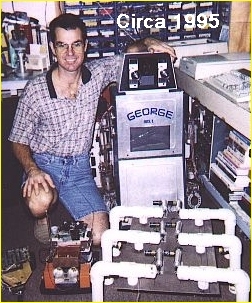 What I'm doing at FutureBots Humanoid labs or FBHL is building advanced humanoids that can be used to excite and recruit the next generation of USA based engineers and robotics scientists. 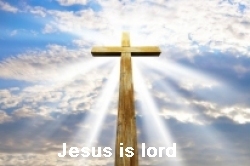 I'm proud to live in the greatest country on earth the United States of America. 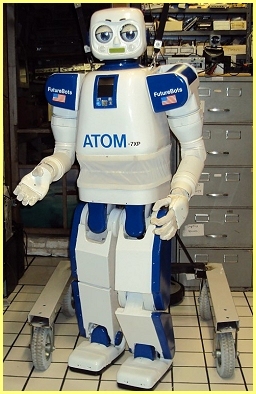 ATOM 2.0 a more robust humanoid robot. 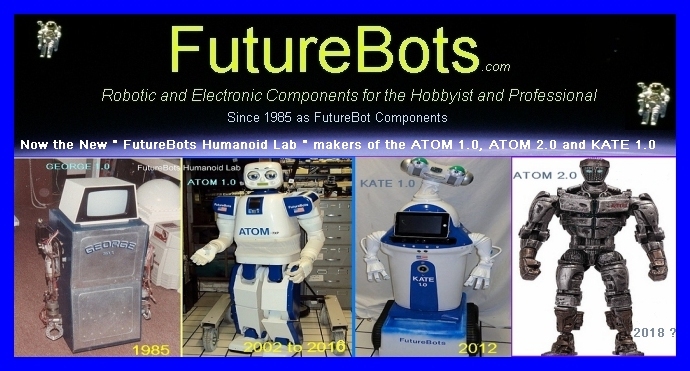 The ATOM 1.0 and 2.0 is now the only humanoids being manufactured in the USA by a USA owned company FutureBots Humanoid Lab, the rest are owned by Foreign companys. Latest News & Events from the lab. 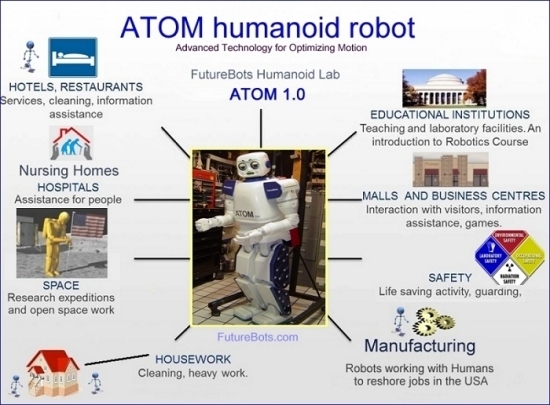 Go Fund Me page for the  ATOM 1.0 new humanoid lab, 10/24/2018. 2018 Mouser - TechBriefs Robotics Contest  Please VOTE for ATOM 1.0, 07/2/2018. 2017 Mouser - TechBriefs Robotics Contest  Please VOTE for ATOM 1.0, 07/1/2017. Mouser - TechBriefs Robotics Contest  Please VOTE for ATOM 1.0, 07/1/2016. KATE 1.0 is on Indiegogo being crowd funded, please donate 08/30/2014. 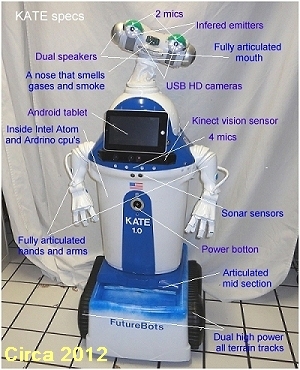 ATOM 1.0 Humanoid featured in ENGADGET magazine Jan, 4, 2010 day view of system.